· Full Member: to become full member, you have to have an experience of CTO revascularizations of at least 300 documented cases and, after 2 years of associate membership, you may be eligible if you have uploaded at least 50 CTO cases per year to the ERCTO registry, a recommendation letter from 2 board members and a final board evaluation. Membership can only be upheld if a full member consecutively enters all personal CTO cases in the online registry of the Club. Failure to do so leads to termination of the membership upon decision of the board. All those who will not respond to multiple warnings and will not contribute to the registry over a 2 year period with at least of 50 cases per year will be demoted to associate members. All associated members will be given access credentials to the ERCTO.org database and should upload their cases in its specific section. Membership for those who will not contribute to the registry over a 2-year period might be terminated upon decision of the board. 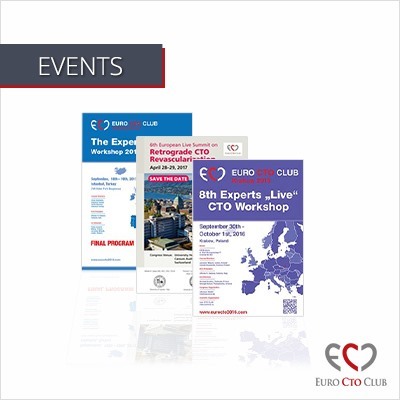 - attend or host at least one CTO workshop within two years. 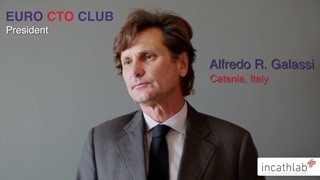 · Non-European Affiliate Member: to become a non-European affiliate member you need to have an experience of CTO revascularizations of at least 300 documented cases in one of the countries outside Europe and, after 2 years of associate membership, you may be eligible if you have uploaded at least 50 CTO cases per year to the ERCTO registry, a recommendation letter from 2 board members and a final board evaluation. 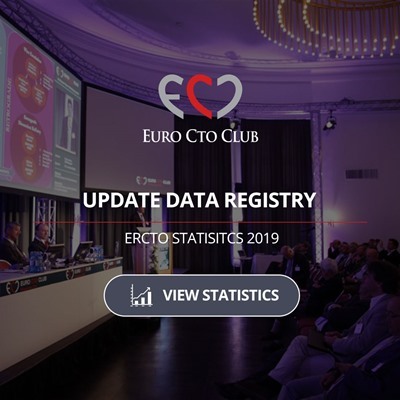 - upload their CTO cases in the specific section of the ERCTO.org website using the access credentials that will be provided to them upon registration. Membership for those who will not contribute to the registry over a 2-year period might be terminated upon decision of the board.